Please note - this performance takes place at the Massry Center for the Arts on the College of Saint Rose campus, 1002 Madison Ave, Albany, NY. A hundred years after her birth, the ever-eloquent Ella Fitzgerald continues to teach us lessons. 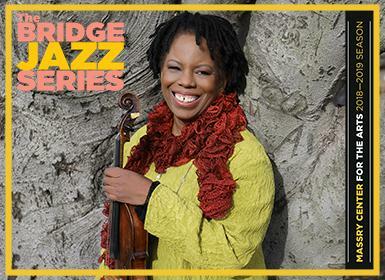 Virtuoso violinist Regina Carter has chosen this moment to celebrate the First Lady of Song’s infectious and inclusive artistry with unabashed joy. In her heartfelt and deeply personal interpretations of these songs we hear the same degree of warmth, feeling and elegance that imbued the legendary singer’s work as filtered through Carter’s singular voice.